Grow your practice with CLE Connect courses. CLE Connect™ is a comprehensive, Minnesota on-demand, CLE-accredited program that teaches lawyers the marketing basics they never learned in law school. From networking best practices to social media engagement, CLE Connect is the definitive marketing resource for Minnesota lawyers. 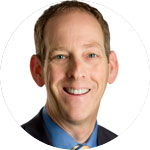 Learn ethical marketing strategies to grow your Minnesota practice. Unlike other Minnesota on demand CLE-accredited courses, CLE Connect teaches the marketing skills you didn't learn in law school. Our Minnesota CLE courses help you attract new business, increase your name recognition, and communicate your value. Even though CLE Connect courses are all approved for 1 ethics credit in MN, we like to think the CLE credit is just the icing on the cake. 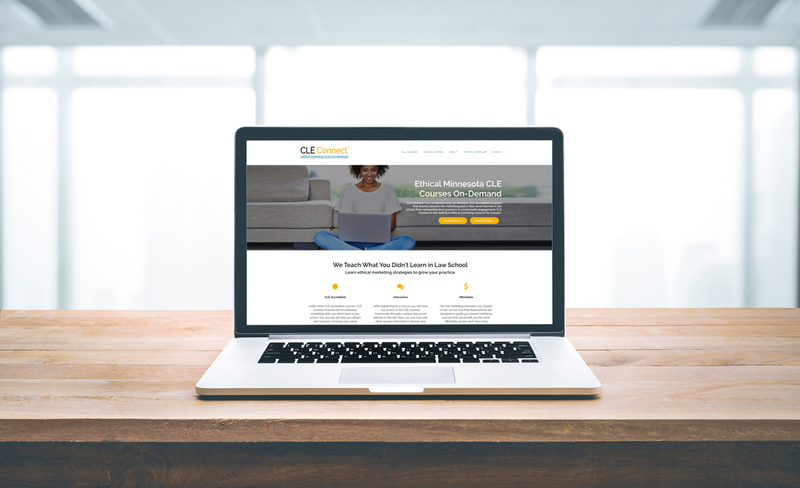 After registering for a CLE on demand course, you will have full access to the CLE Connect Community through a unique discussion feature on the site. Here, you can chat with other lawyers interested in sharing new and effective marketing ideas, expand your professional network, brainstorm with your colleagues, and learn the skills necessary to ethically attract new clients. Minnesota CLE Connect courses are $49.99 each, a great value per credit. You can save 15% by purchasing a two-course bundle, or 20% by purchasing our six-course Mega Bundle. Our site is structured for individual lawyers like you, but we do offer packages for law firms upon request. Experience the affordability and convenience of our on-demand programming. An innovative solution for Minnesota lawyers. Spring is in the air! We want to celebrate by offering you 5% off any course or bundle. Offer ends May 1st. Thank you for developing this useful product! Barb Brekke | Founding Partner | Brekke, Clyborne & Ribich, L.L.C. CLE Connect offers easy-to-use, relevant and important on-demand CLE opportunities. I felt like Terrie was literally with me in my office talking about the ethical rules related to marketing. The written materials were well-done and Terrie's conversational style and real life experiences made the CLE come to life. Thank you for developing this useful product! 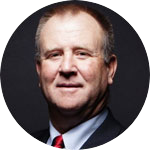 Great new online CLE program from my good friend, Terrie Wheeler! This program provides ethical marketing strategies (that really work) for Minnesota lawyers. For a great price, you get CLE ethics credits and ideas to grow your law practice! What I liked best is that the courses did not focus solely on what activities to avoid, but gave good practical ideas regarding safe, ethical marketing practices. Janel Dressen | Shareholder | Anthony Ostlund Baer & Louwagie P.A. [The courses] were full of information that can be immediately implemented. The written materials help put words into action with the practical advice provided by Terrie during the 60 min CLE. Well worth your time. Very good! I found the material and the presentation to be excellent. It was easy to follow and relate to your own practice. CLE Connect is a wonderful resource for lawyers! The courses themselves are full of practical, valuable marketing tips. I appreciated the way the courses incorporated the Minnesota Professional Rules of Conduct--in today's fast-changing media environment, it's not always easy to figure out how to use social media while complying with our profession's ethical obligations. I also really appreciated being able to take the courses online. CLE Connect makes it easy and so cost-effective to acquire CLE credits. Highly recommend! Each CLE Connect course is worth one ethics CLE credit in Minnesota, but the true value of our service lies in the unique, constructive, marketing-oriented content of our courses. We don’t just bombard you with ethical Rules and “what not to do” horror stories. Rather, our courses are structured as interactive coaching sessions. Yes, seriously! 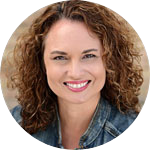 At anytime during your course presentation, you can pause the webinar video and ask your instructor, legal marketing veteran Terrie S. Wheeler, MBC a marketing question. 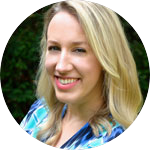 Terrie will personally respond to your question within one business day and even schedule a time to talk with you. 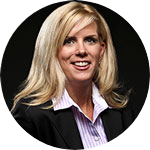 Terrie has a genuine passion for helping Minnesota lawyers grow their practices. Our on-demand CLEs take the best of Terrie’s 25+ years of legal marketing knowledge and roll it into a digestible hour-long presentation. Each MN CLE also includes a litany of tools, articles, tip sheets, and templates you can download and being implementing for your own firm. When setting out to create CLE Connect, we wanted each course to offer practical advice and guidance for Minnesota attorneys. At CLE Connect, we like to say the CLE credit is just the icing on the cake. Our courses are really meant for forward-thinking Minnesota attorneys who want to take their practice to the next level. Whether you’re a sole-proprietor, managing partner, or new associate, our on-demand MN CLEs will challenge you think about your revenue goals and how to build your personal brand. Student feedback is overwhelmingly positive. For a limited time, sign up for exclusive content (including our 2019 8-Step Marketing Planner). but the clock is ticking. 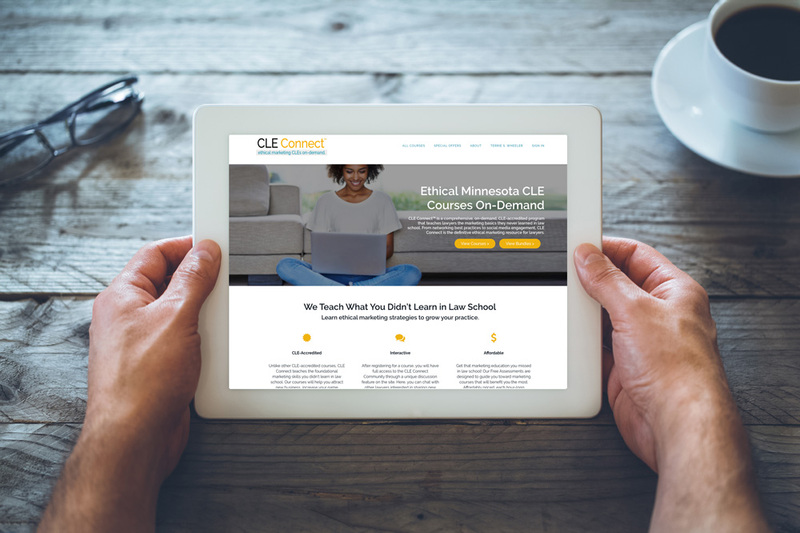 Save yourself the hassle of last-minute scurrying and explore our on-demand MN CLE Connect course offerings. "We recently had the opportunity to sit down with marketing veteran and Attorney at Law Magazine columnist, Terrie S. Wheeler, MBC, to discuss her exciting new on-demand CLE program for Minnesota Lawyers: CLE Connect | Ethical Marketing CLEs On-Demand. Wheeler combines her ethics background with her more than 25 years of legal industry marketing experience in this comprehensive, on-demand, CLE-accredited program that teaches lawyers the marketing skills they never learned in law school." Every lawyer in Minnesota is required to attain 45 CLE credits every three years, and report those credits to the Minnesota CLE Board through its reporting tool, OASIS. Of the 45 CLE credits required, three must be in the area of ethics and professional responsibility. The really good news is that 15 CLE credits out of the 45 can be completed on-demand, from the comfort of your home or office. In fact, that’s why we created CLE-Connect: Ethical Marketing CLEs On-Demand. Currently CLE-Connect offers six on-demand courses - all marketing-oriented, and all with ethics credits. Even though you are only required to earn three ethics credits per reporting period, if for example, if you choose to bundle up with our six-course package, three credits will count toward your ethics requirement, and three will transfer to general practice credits. Remember, in six hours you can achieve a fast-track to your marketing success. There are almost no options for lawyers in Minnesota looking for marketing CLEs that count toward ethics requirements. Depending on when you were sworn in, you are either in Category 1, Category 2, or Category 3. For your convenience, you can login here to OASIS or search for your name in MARS to find your CLE category. In general, lawyers must complete CLE credits by June 30th and report them to the MN CLE Board by August 30th. Who should use CLE Connect? What does CLE Connect cost? One CLE-accredited course is $49.99, but you also have the option to purchase multi-course packages and receive up to a 20% discount! Do a little research, and you’ll find that most CLE courses are priced higher, are less interactive, and don’t teach you lasting skills to develop your practice. Our goal is to provide comprehensive marketing education for lawyers. The CLE credit you will receive is just icing on the cake. What are the Minnesota CLE requirements for attorneys? According to the MSBA, "Beginning in July 2014 the Minnesota CLE board has allowed attorneys to claim up to 15 hours of CLE credit per 45-hour reporting period through on-demand CLEs. On-Demand CLEs are similar to regular CLEs in terms of content, but they may be viewed at any time rather than only during the live presentation." Included in the 45 credit hours must be a minimum of 3 ethics or professional responsibility credit hours and a minimum of 2 elimination of bias credit hours. A lawyer may claim up to 15 hours of credit within the 45 hour CLE period for on-demand courses as defined in Rule 2R. Each fully accredited Minnesota CLE course takes about 1 hour to complete. Our on-demand webinars are well-organized and intended to maximize your time. We provide useful tools, tip sheets, articles, and templates to help drive your success. Looking for an On-Demand CLE in Minnesota? As you know, ethical considerations related to marketing vary between states, which is why CLE Connect on-demand courses are specifically tailored for attorneys in Minnesota. CLE Connect founder, Terrie S. Wheeler, MBC, will guide you through each course while providing timely insights, tips, and checklists to help your firm grow. We certainly hope after spending time on our website, that you will choose to try a course, or purchase an affordable package of either two or six courses. 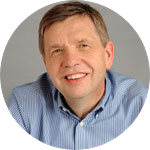 Where else can you find marketing coaching content that has received ethics credit? You can view our affordable packages here! You can also see what other top lawyers in Minnesota have to say about their CLE-Connect experience.